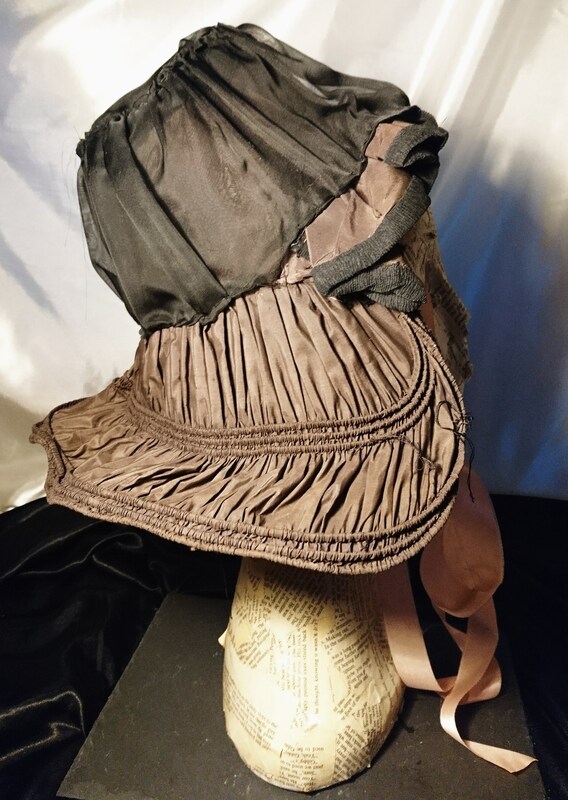 A lovely antique Victorian bonnet that has been made from taffeta, silk chiffon with a pink silk ribbon tie underneath. 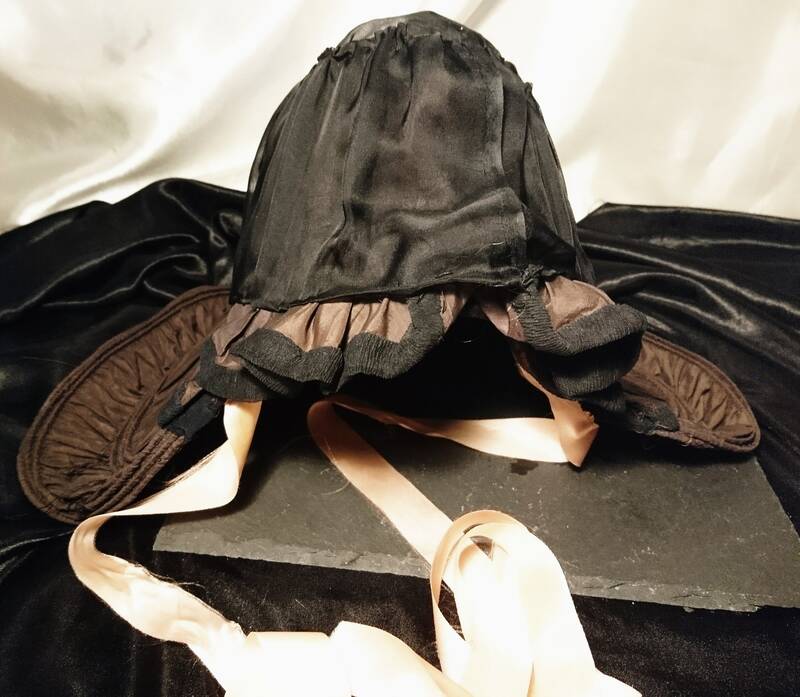 It has a traditional structure with a small frill to the front of the bonnet to give a prettier edge to the structured headpiece, this is made from a black silk chiffon and the top is covered in the same fabric. 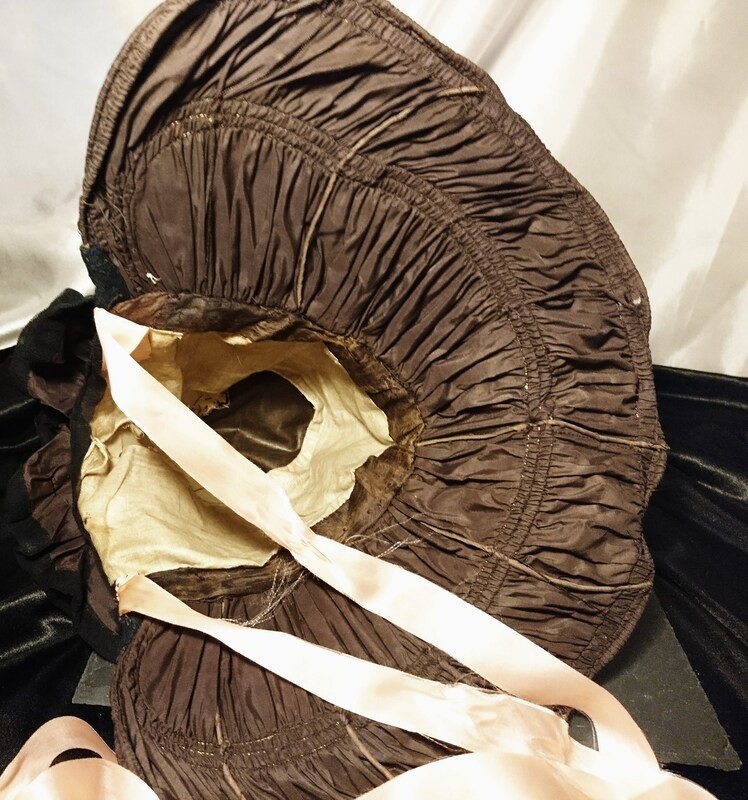 The back is then made from a large piece of brown crepe taffeta, it is wired throughout the entire bonnet to maintain its shape and structure, there is a burlap lining inside but this is rather delapidated. 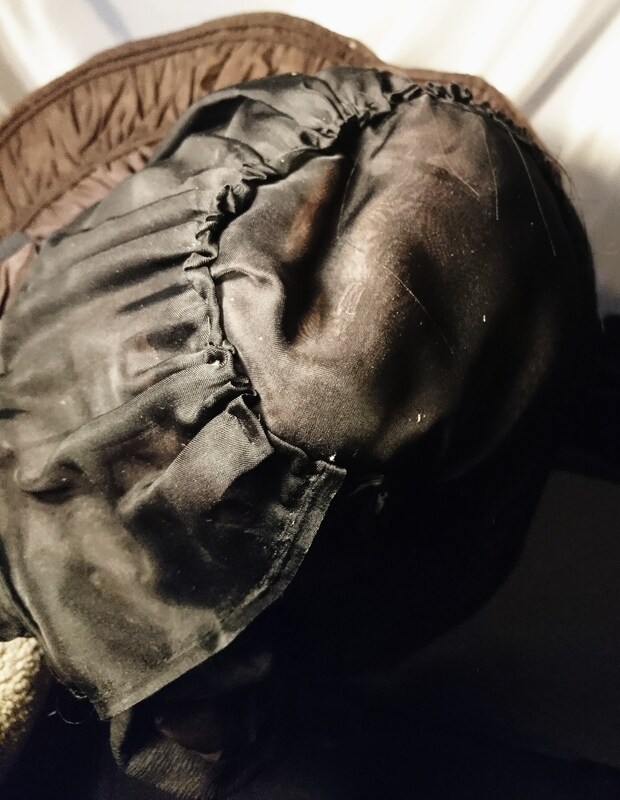 It is old and used, there are some wires that feel a bit sharp to the touch so these while not visible will need to be tended to in order for it to be worn comfortably, the colour is good though and it has minimal fade. 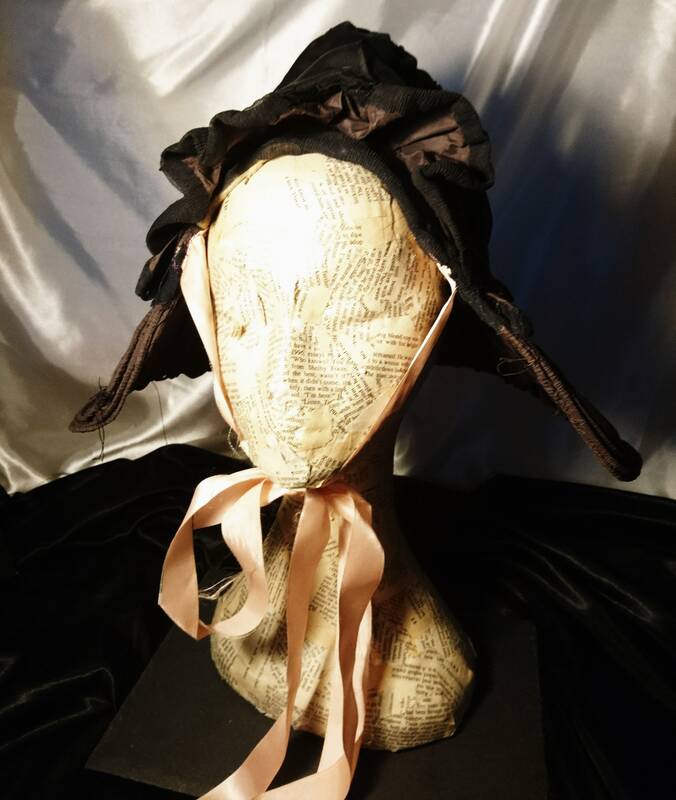 The pink ribbon has been later added probably replacing a worn one of darker colours. 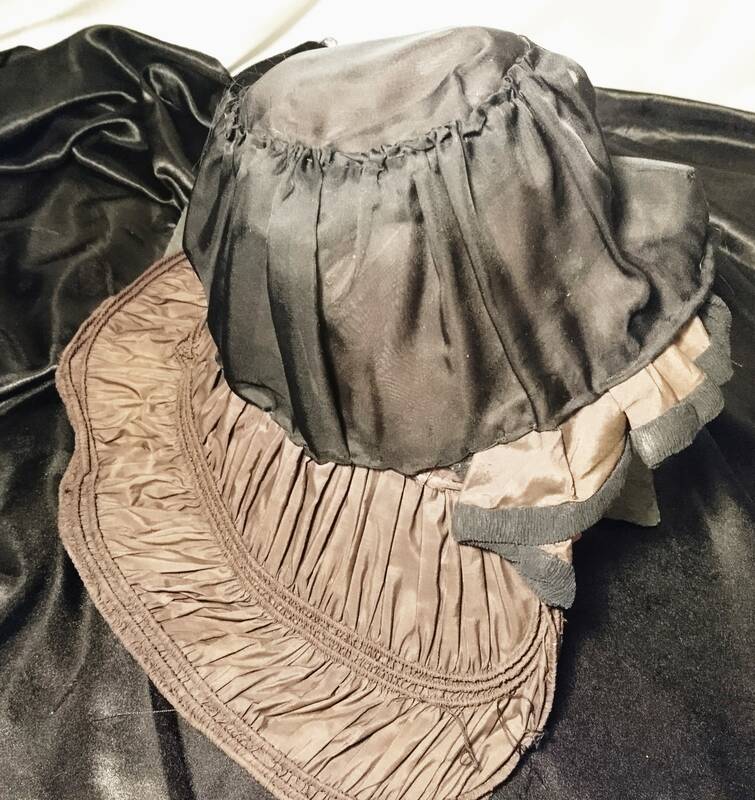 An exceptional example of traditional Victorian headgear. 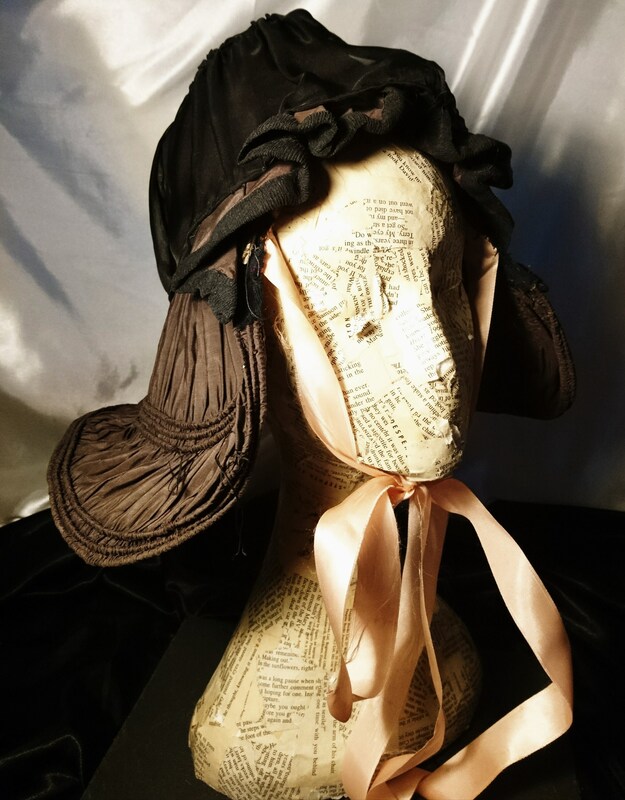 Beautiful item, really pleased with it. Photos showed it well and it was properly described. 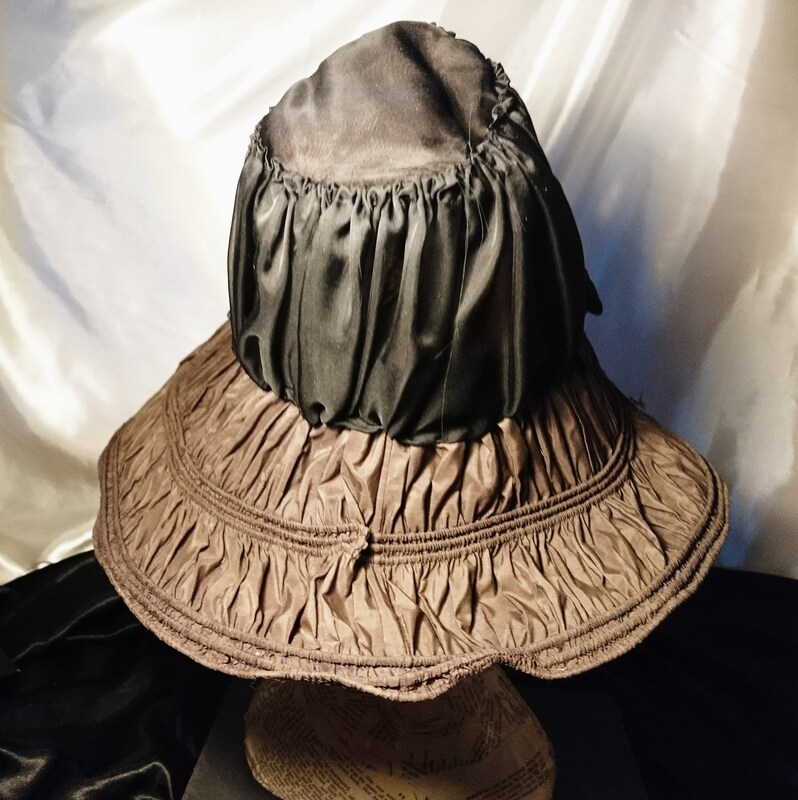 Excellent communication throughout the purchase process, and very speedy delivery. Packaged wonderfully, a pleasure to do business with. 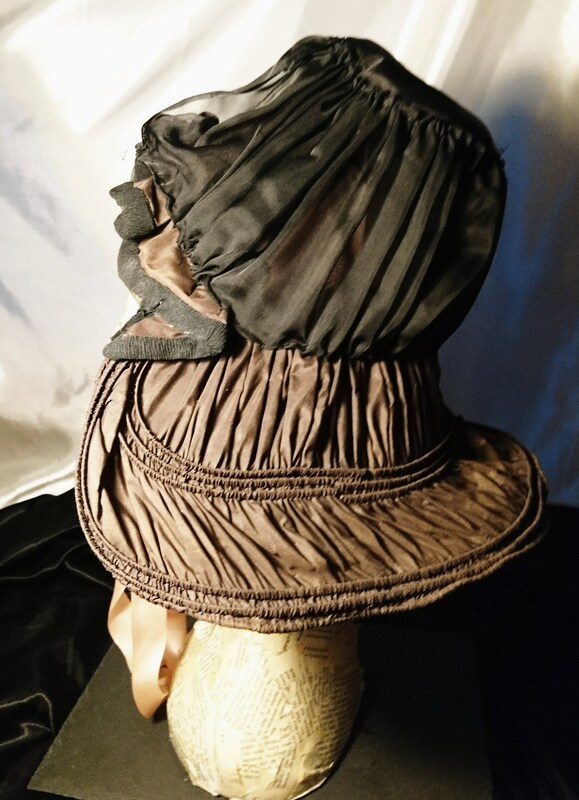 Will be looking out for more lovely hats in the future!